Among the big mysteries that Star Wars: The Force Awakens left us with, one of the biggest is the identity and intentions of the Supreme Leader Snoke (Andy Serkis). The villainous leader of the First Order appears several times as a giant hologram to his subordinates Kylo Ren (Adam Driver) and General Hux (Domhnall Gleeson). 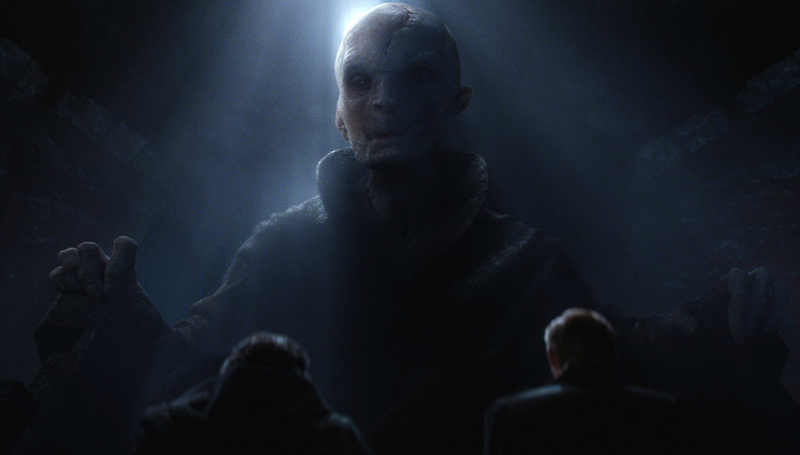 Cinemabland spoke with Roger Guyett, visual effect supervisor on the film about Snoke. While they didn't reveal any new details about Snoke's plans, they did offer some insight to Snoke's design and which famous American monument which inspired his look. 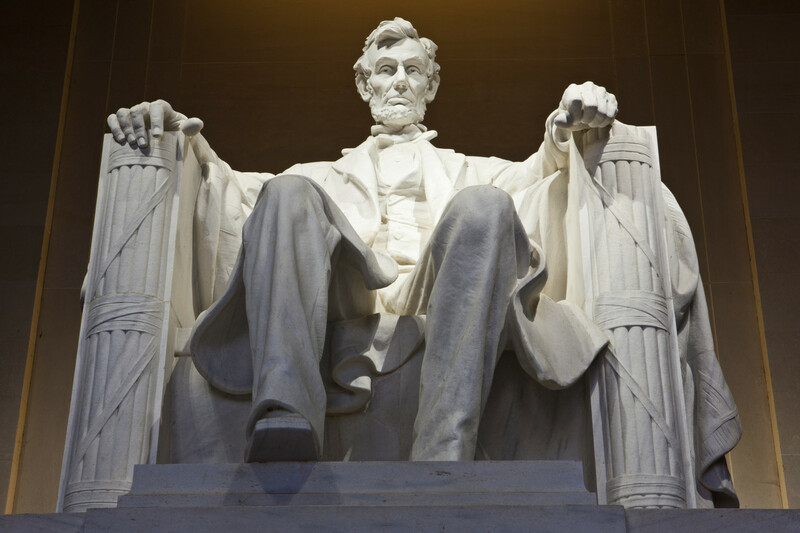 "Imagine when you’re a kid or whatever, you go up and you stand in front of the Lincoln Memorial. And you see old Lincoln in a huge chair. There’s a certain quality about that. So, that was certainly sort of part of the inspiration for it all. But I think, hologram, you know? The idea really in that opening scene is sort of like, ‘What is going on here. Ok, it’s a hologram. Is he really this big?’ OK, once you figure out that it’s a hologram, of course it’s like, ‘Well how big is he?’"
At the end of that first scene [with Snoke], it kind of really gives it away, because obviously he disappears, like a classic hologram. But the idea is the holographic technology is really way more advanced than the… we’ve traveled 30 years in time, so you’re seeing a hologram. The thing that I think will be revealed in future movies is more of, you know, you’re probably seeing more of Snoke. Obviously he’s an ongoing character and a lot of those things I think your fans and people on your site or whatever are analyzing, will be discussed. A lot of that stuff will be revealed in the future. But I mean, he is a hologram. I think one thing that is interesting, too, is just the nature of how he ended up looking, that kind of came out of a lot of exploration. Just our lighting tests, just starting to light that chamber and figure out, kind of, what did that light do in there. Seeing him so dramatically backlit like that is something that I think was kind of inspirational. Because there is, realizing that, ‘Hey, if you reduce a lot of the color down and you just make this very visceral, black-and-white silhouetted character, he gets that much more menacing.’ His size, you know, already makes him menacing, and then you have this sort of [effect of] you can’t quite see what you’re looking at all the time. I think it really adds to his mystique. I think it's safe to say the team succeeded at making Snoke's appearance in The Force Awakens intimidating. Snoke's objectives in the sequel trilogy remain one of the big mysteries, hopefully Rian Johnson will expand upon this in when Star Wars Episode VIII hits theatres in May 2017.